I recently decided to read through the gospels in a Chronological Bible, paying special attention to the words of Jesus. The question on my heart was: In Jesus’ life here on Earth, what, exactly, was He teaching? And so, my reading began. I was reminded of all of the miraculous occurrences and fulfillment of so many prophecies in the narration regarding Jesus’ birth. Then, at the age of twelve years old, we find Him in the temple, amazing the doctors with His spiritual understanding (Luke 2:46-49). The first recorded words that we find of our Lord as He lived His life here on Earth was, in essence: Did you not know that I must be about My Father’s business? From the moment of recorded Scripture of Jesus’ life here on Earth, we find that He was about His Father’s business. My mind stayed there for a few moments, and then was carried to the last recorded words of our Lord here on this Earth. In Luke 23:30, as Jesus hung on the cross, just before He bowed His head, and gave up the ghost, He said: It is finished! What was it that was finished? … The Father’s business – that work which the Father had given Him to do. I reflected for some while on that truth. 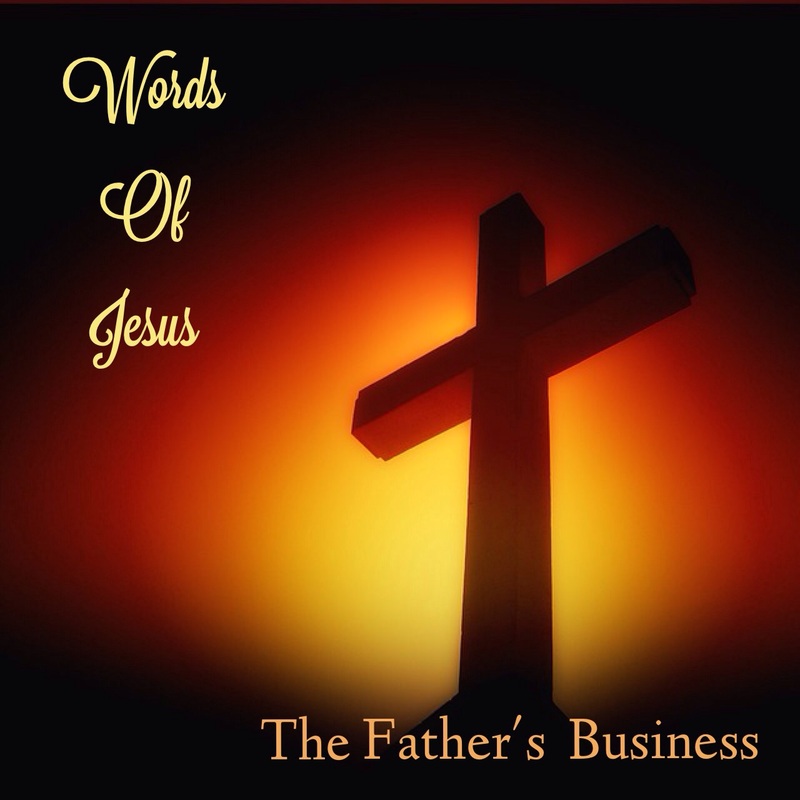 What exactly was the Father’s business, and what was it that Jesus had finished? … It was, in actuality, the redemption of mankind! My thought went from there to my own Christian life. It is so easy to get distracted or weighted down, often encumbered by many things. It was then that I was reminded that all of what the Father calls us to is still about redemption. My life is meant to impact others. My life is meant to bring others to Christ. My life is still meant to be about the Father’s business – to be about redemption. As a Christian, sometimes our eyes get on our self or our own “personal” Christian life, but what the Father actually calls us to is to represent Him (and His gracious redemption through His Son) to others – to our spouse, to our children, to all of the others that God brings across our path. As I further contemplated these truths, it became so clear why I get so distracted. So often I find that the things upon which my time is spent are mere encumbrances or weights because they have nothing to do with redemption! I am asking the Lord to help me weed the unfruitful things out of my life. At the end of my life, I want to be able to say, as the Apostle Paul: I have finished my course! I want to know that I have completed that which the Father had for me to do. I want to have spent my life “on task” and have been about my Father’s business. The first day of a new year. I pulled the covers up tighter around my neck. I really didn’t even want to get out of bed. I lay there for a few moments, and then a thought passed through my mind. “Living in Grace.” Hmmmm. I lay there a little longer and began thinking about grace. Grace was probably the most wonderful thing that I knew. It was what had given me spiritual life, and it was surely the only real way to live the Christian life. Verses began to flow through my mind: For by grace are you saved through faith; and that not of yourselves: It is the gift of God. Ephesians 2:8. My grace is sufficient for you. 2 Corinthians 12:9. Let us therefore come boldly to the throne of grace that we may obtain mercy and find grace to help in time of need. Hebrews 4:16. Yes, grace was a truly marvelous thing. Again, I heard in my heart “Living in Grace.” I wondered why that thought had occurred to me again. I rolled out of bed, and pondered as I went. I stepped into my sunroom, with the morning sun filtering through the frosty windows. Just then “Skip to My Lou” came to mind. Ha! I had to laugh! I had a friend that used to call me “Skip to My Lou” all the time. She said that no matter what happened (and I had had a number of hard circumstances), that I just kept “skipping” right through. Hmmm. I sure hadn’t been “skipping” lately. It seemed as if so many things were burdensome to me, and I did so many things out of obligation. Then, “Living in Grace” popped back in my mind. Not living BY grace, but living IN grace. I pondered the difference between the two. It was then that an additional thought occurred to me …. On this first day of this new year, it seemed as if “Living in Grace” would be my theme for 2015. Hmmm. More pondering. Maybe, just maybe, the Lord wanted to restore that “skipping” to my life. I didn’t even know how I had lost it, but I had a deep desire to have it back. I quietly prayed about these thoughts … open to know all the Lord wanted to teach me. I began the day … Nothing monumental. I called my aging Mom to wish her a “Happy New Year”. I’m thankful for every year that the Lord gives to her. I texted my sister with the same greeting and wished my niece well as she departed for a long awaited trip to Spain, and I “facetimed” my son and his family across the Atlantic. I always loved to talk with them. I planned a special dinner for my husband, and I spent the rest of the day on what we so often consider the “mundane”. Cooking … Cleaning … Laundry … And such. 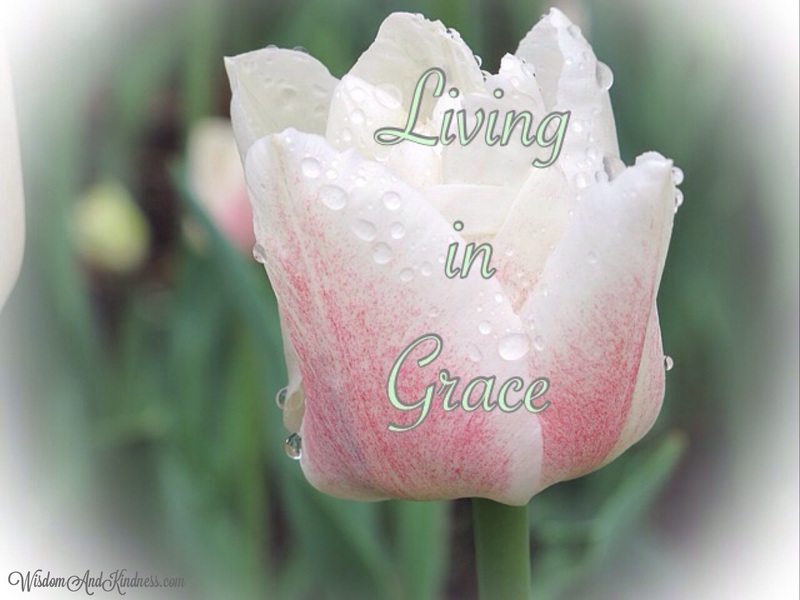 But as I took care of those homemaking tasks, “Living in Grace” filled my thoughts. Lyrics to songs about grace entered my heart. The book of Galatians came to mind. As I considered certain Scriptures from Galatians, I knew I would search out those verses. And so the day continued… again, nothing monumental. Simple day. Simple tasks. My home was in order; my husband was fed and quite content. We sat quietly by the fireplace as he read and I pondered. My heart was still. Living in the grace of God! And maybe, just maybe, I felt a little “skipping” return!